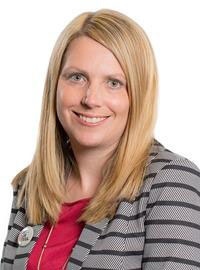 The Welsh Government could set a target for councils to recycle 80% of its municipal waste by 2035, according to Hannah Blythyn AM, Welsh Minister for Environment, speaking at the CIWM Resource Conference Cymru. The event had as its theme ‘The Welsh Green Economy’ and in her keynote address the minister spoke about Welsh Government’s current plans to maintain progress towards a more sustainable future and the development of the Welsh green economy through the new Economic Action Plan. She told delegates how Wales will retain a focus on generating high-quality recyclate to “get our own house in order”, and that the country will also be looking into the potential impact of the Chinese waste import restrictions on Wales. The minister announced the Welsh Government is also working on an “enhanced” behaviour change project to help further reduce the amount of waste that is recyclable being sent to landfill, and that it will this year publish an independent evaluation of its waste strategy in order to “take stock”. This review will include looking at a potential target for councils to recycle 80% of municipal waste by 2035, and will also consider alternative targets around carbon and specific wastes. Welsh Government will also be looking at potentially updating current local authority recycling targets to align with the new EU definition of municipal waste, she said. With regard to food waste and the country’s proposed target to half the amount generated by 2025, Wales is also looking to align itself with what the EU and the UN are doing in the context of the UN’s Sustainable Development Goals. “In Wales we take our duty to achieve sustainable development very seriously. We’ve extended our lead as the best household waste recycling nation in the UK to 12 per cent above the UK average, putting us second in Europe and third in the world.